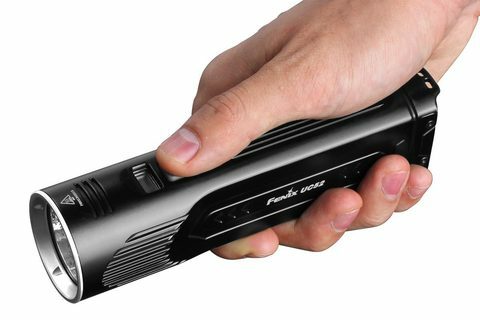 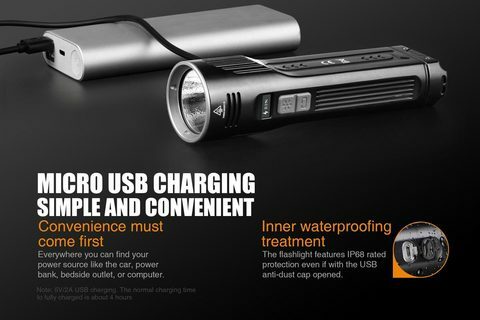 The Fenix UC52 is a micro-USB rechargeable flashlight built for super-high performance. It is fitted with Cree XHP70 LED, which delivers a maximum output of 3100 lumens at a distance of 830ft (253m). 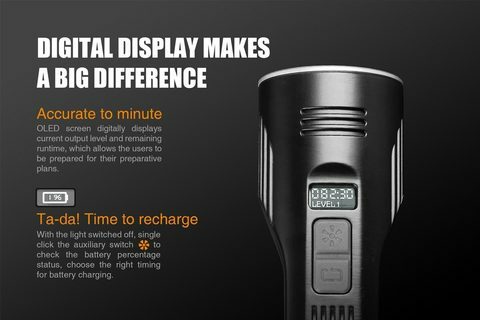 The OLED screen digitally displays current output level and remaining runtime, which allows the user to always be aware of their flashlight’s built-in 7.2/3500mAh Li-ion battery status. 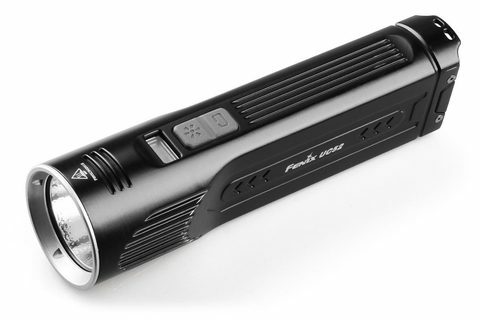 Dual side switches separately controls five brightness levels and the two flash modes. 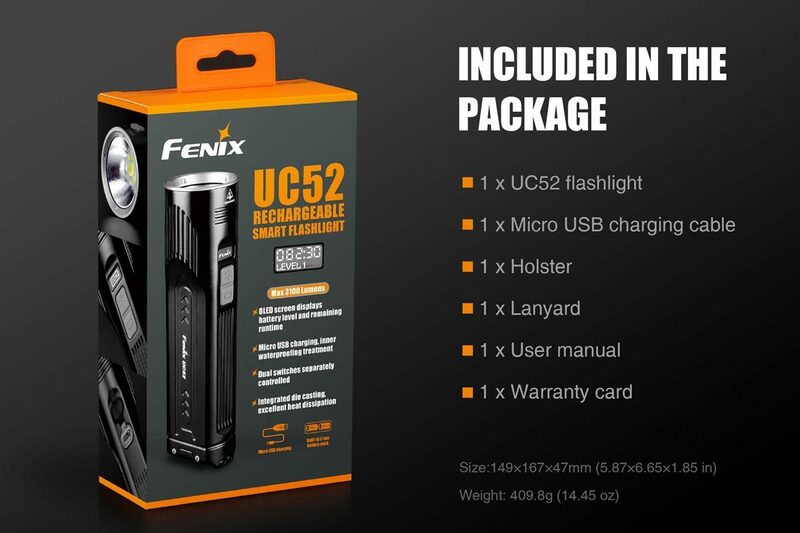 The Fenix UC52 rechargeable flashlight also incorporates integrated die casting for excellent heat dissipation and is IP68 rated waterproof and dustproof.